To make its case, BP placed full-page ads in the Wall Street Journal, the New York Times and the Washington Post on Wednesday. "Whatever you think about BP, we can all agree that it's wrong for anyone to take money they don't deserve," stated the ad. BP (BP) has paid out more than $42 billion in fines, clean-up costs and compensation resulting from the massive 2010 spill, caused by an explosion that killed 11 oil workers. 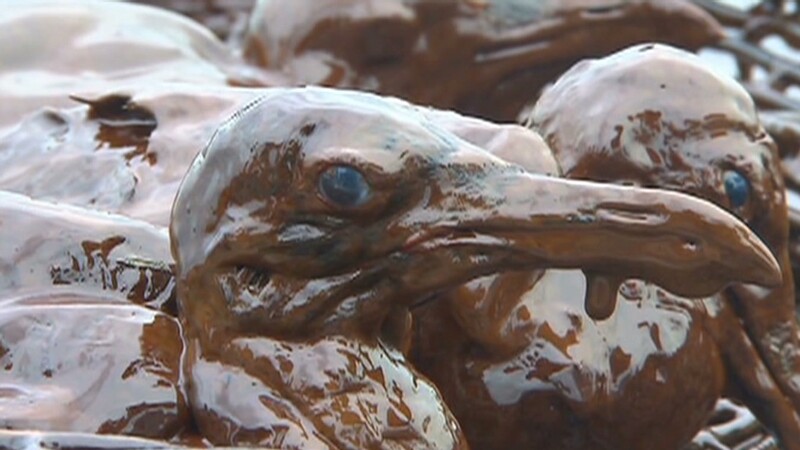 Millions of barrels of oil spilled into the Gulf and crippled businesses. 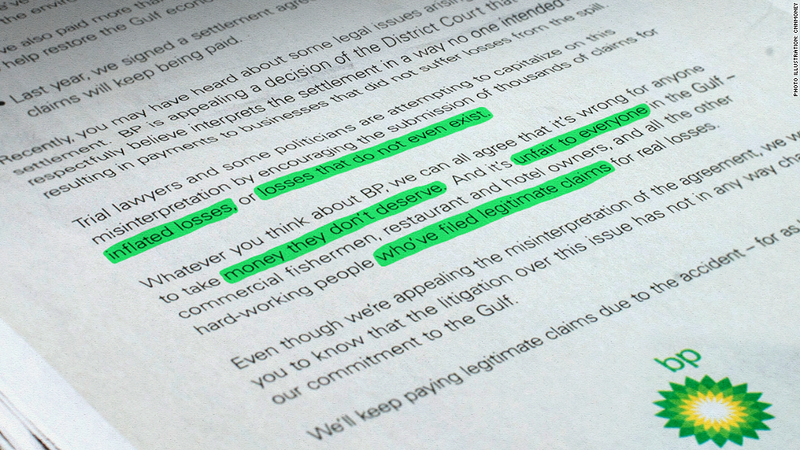 BP has also been sending letters to lawyers warning that clients who receive compensation based on excessive or false claims will have to pay the money back if the company is successful in its court appeal on July 8. BP has been working for the past few months to reclaim compensation payments that it has dubbed "illogical and absurd", saying the claims administrator is misinterpreting a settlement agreement. In one instance, BP legal documents show the company paid $21 million to a rice mill in Louisiana that was 40 miles from the coast, even though the mill reported higher revenue in the oil spill year versus the three previous years. BP warns these "fictitious losses" could mean the company will end up paying billions of dollars above and beyond what it had already set aside for victim compensation. London-based equity analyst Iain Armstrong from Brewin Dolphin says he thinks BP is being fair in its approach. "I don't think they would go this far if they didn't have fairly good evidence," he said. But Tampa-based attorney Kevin McLean, who represents clients seeking compensation from BP, said the company is being "deceitful." "They went into this with a legion of attorneys and a legion of accountants to put this [deal] together and they knew exactly what they were getting into when they negotiated and signed this settlement agreement. The settlement agreement has been interpreted correctly by the trial judge," he said.